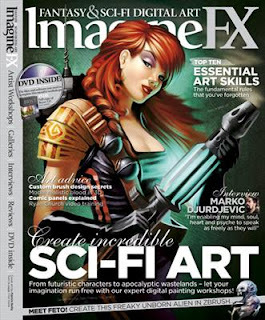 The latest and possibly greatest issue of ImagineFX is out now, with a cool retro cover from US-based artist Patrick Reilly. Skjan Srisuwan, Issue five’s cover star talks LEGO and how he paints with a mouse! The leading digital artists answer your artistic questions. With tips and technique from Jonny Duddle, Melanie Delon, Henning Ludvigsen and more! * Marko Djurdjevic on shedding your artistic fears - one you can’t miss! * Get to grips with panels. Comic art foir beginners with Frazer Irving. * FULL version of Bryce 5. Yours to keep…forever! * Ryan Church video training - the Star Wars prequels concept artist! Reporter Rob Owen of the Pittsburgh Post Gazette attended an NBC Universal party Friday night and had an opportunity to talk with executives and cast of Battlestar Galactica. 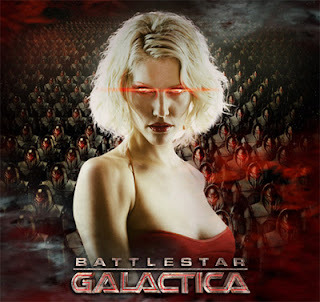 Sc Fi Channel on which Battlestar Galactica appears is owned by NBC. “I can’t talk about season four,” Owen quoted Sci Fi Channel executive vice president of original programming Mark Stern. Because the contracts with the actors expire next month, Stern said a decision on renewal will come by mid-February. Helfer said the move to Sunday is viewed by some as a death knell, because Sunday is more competitive than Friday. Others see it as potential salvation because more people watch TV on Sunday and might tune in. The Wizard of Oz is about to get a makeover — but not like any makeover you know. 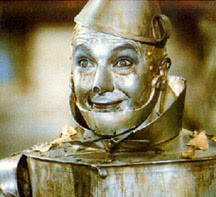 A wildly re-imagined, six-hour science-fiction fantasy called Tin Man will start shooting in Vancouver this spring, and will premiere on the U.S. Sci Fi Channel in December, Sci Fi program chief Mark Stern announced Friday at the semi-annual gathering of the Television Critics Association. Tin Man tells about a young woman pulled out of her dreary day-to-day life and transplanted into the Outer Zone, a realm “rife with wonder but oppressed by dark magic.” Her journey begins on a fabled “Old Road,” which eventually leads to a wizard known as the Mystic Man. The miniseries is being written by Steven Long Mitchell and Craig Van Sickle, who created the cult TV series The Pretender, and produced by Gulliver’s Travels’ Robert Halmi, Sr. and Robert Halmi, Jr.
California governor Arnold Schwarzenegger and filmmaker James Cameron are set to work together again on new sci-fi movie Saturn 3, according to internet reports. 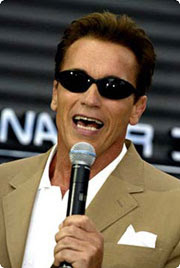 Fansite TheArnoldFans.com reports the California Governor will lend his voice to a robot in Cameron’s Saturn 3 movie. Cameron is slated to produce the project. The film is a remake of a cult 1980 film, which starred Farrah Fawcett, Harvey Keitel and Kirk Douglas. Schwarzenegger and Cameron previously worked together on The Terminator, its sequel and True Lies. 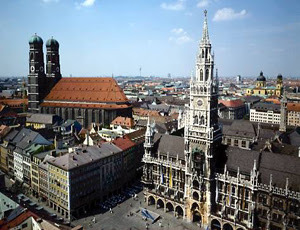 For the third year running, chairmen Dr. Hubert Burda, Publisher and High-Tech Investor Dr. Yossi Vardi will gathers foremost international experts, designers and pioneers from the digital industry, the media, and the world of art and design at the DLD (Digital - Life - Design) in Munich. Two days before the World Economic Forum (WEF) in Davos, 500 selected participants will meet from Jan 21st to Jan 23rd 2007 to exchange ideas and introduce new projects and developments. The future of markets, society and lifestyle is the centre question at the European Innovations Conference. As a consequence of the rapidly progressive digitalisation of all areas of life, “Life and Design” will assume a much greater thematic significance this year: New schools of thought in arts, architecture and design as well as a NGOs (Non-Governmental Organizations). The main topics are: “Gutenberg 3.0 - Media in Transition”, “Audiences, Communities & Brand Spaces”, “Start-ups made in Europe”, “Search, Social Networks & Gaming”, “Future of TV & Wireless Revolution”, “Digital Arts & Design - developing a New Modernity?”` as well as “The Climate Challenge”.